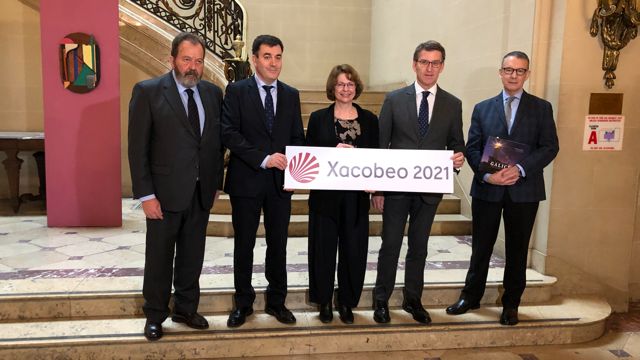 The Xunta de Galicia signed a collaboration agreement with the Institute of Fine Arts (IFA) for the organisation, in 2020, of an international symposium on the Camino of Santiago which will take place in the city of New York. The symposium, which will be coordinated by two scholars of the stature of Robert A. Maxwell and Manuel Castiñeiras, will address the different ways in which the Camino was permeable to the creation of thoughts and ideas, dreams and stories, romances and epic songs. We are talking about a meeting which will invite specialists from all fields such as art history, literature, folklore and history, in order to give a broad vision on the construction of the image and imagination of these routes.